When I first received the new Netduino 3 Wi-Fi I was very eager to test its GoBus functionality. There was one problem, though: the firmware it was running didn’t include the library needed for GoBus to work. This gave me a chance to reimagine how GoBus could be implemented. I started thinking about a new, more flexible architecture that enabled complete customization while still remaining simple and easy-to-use. In this post I’ll start by going over my goals and some of the implementation details. If you’re just here for the cool pictures and experiments (I can’t blame you!) scroll down to the Customization section to see some of the things this library enables. It’s important to note that everything in this library should be considered experimental. I haven’t spent much time implementing and organizing/thinking about this approach and it definitely shouldn’t be considered “final” in any way. I’m definitely open to hear suggestions for changes and improvements as well. Two new Netduinos were announced today: the Netduino 3 Wi-Fi and the Netduino 3 Ethernet! The Wi-Fi version ships today, and the Ethernet version is scheduled to ship in late June now shipping! 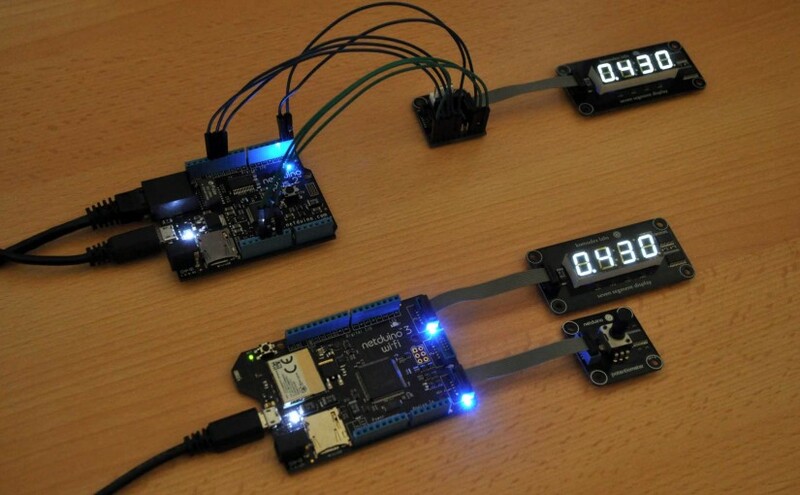 You can view Chris Walker’s announcement post on the Netduino forums here. Update, August 8, 2015: The Netduino 3 Ethernet is now shipping (forum thread here). 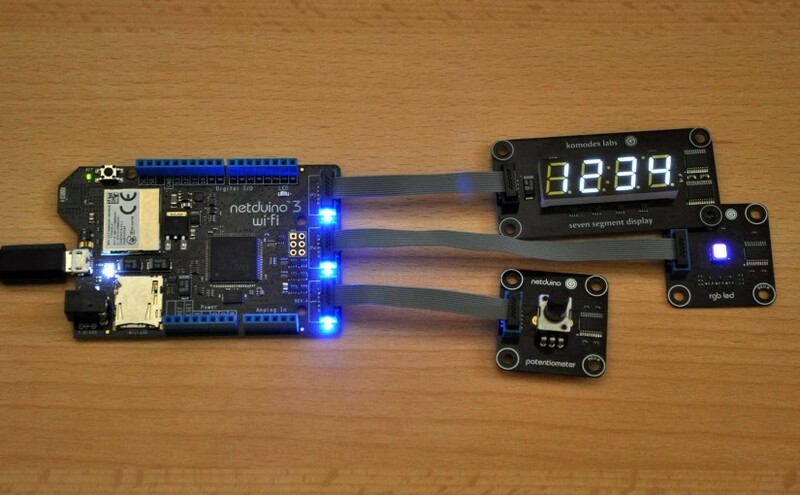 Also available is the Netduino 3 (base model, no networking). The forum thread for the base Netduino 3 is here. I’ve been testing the Netduino 3 Wi-Fi for the past few weeks and I can easily say it’s the best Netduino hardware ever released. This board is awesome. There are two huge differences with this model compared to the previous Netduino Plus 2: the Ethernet port has been replaced with Wi-Fi (2.4GHz 802.11b/g/n via TI’s CC3100) and three GoBus ports have been added along the right edge of the board. Even with these additions the board is still very small — only about half an inch wider than the NP2. With the Netduino 3 Wi-Fi you get everything you’ve come to expect from a Netduino: most notably, beautifully crafted hardware with features to match.